The Area 5 board members are here to serve you. If you have any Area 5 business, ideas for festivals or workshops, or questions about handbells in general, we are happy to help in any way we can. Denise Holmes has been ringing handbells since high school, when her church got their very first 3 octave set of bells. She has been ringing bells almost continuously since that time and is currently directing a church handbell choir and playing in two community ensembles. 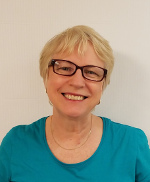 Denise served on the Area 5 Board previously and feels strongly that the most important job for the Board is to create opportunities for our members to learn, to ring, and to connect with other members of the handbell community. 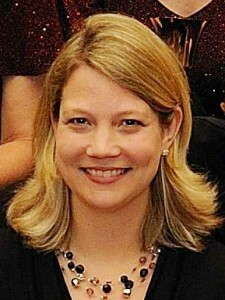 Rhonda Blacklock, Chair-Elect, is one of four Assistant Directors at Purdue Musical Organizations at Purdue University. At PMO she serves as the Director of Purdue Bells as well as the Director of Heart & Soul, PMO’s gospelchoir. Rhonda also maintains successful piano studios in both West Lafayette and Lebanon. 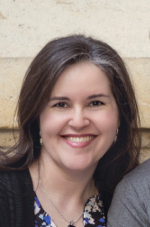 A church musician since the age of 12, Rhonda has served many churches and denominations throughout the Midwest in both traditional and contemporary music. Rhonda holds a Bachelor of Music degree in piano performance from the American Conservatory of Music (Chicago, IL) and also a Master of Music degree in piano performance from Bradley University (Peoria, IL). She and her husband, Ron, have two adult children, both who are newly married. The Blacklocks reside in Lebanon, Indiana with their furry four-legged children, Cooper and Chloe. 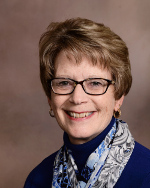 Ann Wood has served as Director of Music at First Presbyterian Church in Escanaba, Michigan, where she conducts vocal and handbell choirs, since 1989. She graduated from the University of Michigan with a B.A. in Speech/Theatre and from Concordia University Wisconsin with a Master of Church Music/Choral Conducting/Handbell degree. Ann is accredited to teach Level 1 Music Theory Handbell Certification classes at the national level. She maintains a large private music studio in the Escanaba area, teaching music theory, piano, voice, and Suzuki and traditional strings. She has two handbell compositions in print. Ann lives in Escanaba with her husband Brian, who shares her love of music, and has three grown children, one of whom is a professional classical singer. Dave has had a passion for music ever since the first time he picked up a trumpet at age nine. He is multi-instrumentalist playing trumpet, guitar, banjo and keyboards. 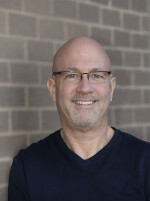 Dave’s past musical experience includes serving as a contemporary worship leader and choir director. 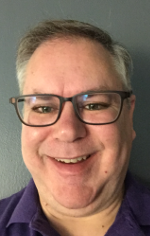 He is a member of the Cross of Grace Lutheran Church Alleluia Ringers handbell choir and a member of the church praise band where he plays guitar and piano. Dave is also active in community music ensembles. Dave attended Indiana University and has a bachelor’s degree in business with a major in accounting. Dave is an IT Architect at Eli Lilly and Company. Linda VanDenBerg has been ringing handbells longer than she would like to confess. But, the more she rings, the greater her love for the art of Handbell Musicianship increases. By day, Linda is an accountant, and in the evenings she participates in her church handbell ensemble, and any other handbell opportunity that comes her way. She also participates in the choir and praise band. 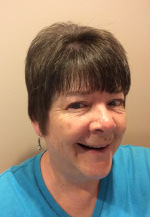 Her accounting experience includes fifteen years serving her church as treasurer. She is excited to join the board and support the many festivals and workshops that she has attended over the years. Patty Saunders directs the Alluring Community Handbell Ensemble, an auditioned group in Lexington, KY along with a newly established children’s chime choir, the Music Makers. Previously, she held the position of Kentucky State Chair. When not teaching kindergartners, Patty enjoys being outdoors in the garden, inside painting, or spending time with her family – usually with a cup of coffee in hand. Susan Stephenson is a violinist from Toledo, Ohio. She maintains a private Suzuki Violin teaching studio and also teaches Suzuki Early Childhood Education classes. She picked up a handbell for the first time three years ago and fell in love with the sound. She plays with, and occasionally rehearses and directs, the handbell choir at First Presbyterian Church in Maumee, Ohio. 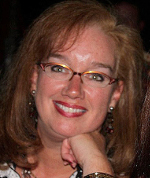 Claire Miller lives in Erlanger, KY with her husband and 2 kids; James and Helen. Monday through Friday, she is the front office secretary at Walton-Verona High School. On Sundays (and many other days) she serves on the staff of Lakeside Presbyterian Church as the assistant music director and Children’s Education Coordinator. Claire has been ringing hand bells since high school and enjoys serving on the Area 5 board as the Communications Chair because she is a fan of all facets of music education! Nancy lives in metro Detroit and works for the third-largest textbook and educational resource publisher in the country. She has been involved in several HMA Area Festivals, and for the past nine years she has participated in Distinctly Bronze East, a massed ringing event for advanced ringers hosted by HMA. She has also performed in all three of the Virtuoso events, hosted by the Raleigh Ringers. She currently rings with the Detroit Handbell Ensemble, directed by Brenda E. Austin. When not involved in music, Nancy enjoys all things Star Wars and reading lots of books. Sarah Stoel has been ringing handbells in Greenwood, Indiana for over twenty years. She also has experience in being a director and soloist. She is involved in church music as an organist and choir member. Sarah appreciates the friendships she has made through her experiences at Area 5 events. She graduated with a BME degree from Augustana College, Rock Island, Illlinois. Before retirement she taught group keyboard classes known as Harmony Road to children ages 3-12. Since retirement, Sarah keeps busy with volunteering with Metropolitan Youth Orchestra. She enjoys spending time with her six grandchildren and also traveling with her husband. Kelly McCoy Johns has been ringing handbells since the age of 11 and has participated in many Area 5 festivals and workshops over the years. She is a founding member of Alluring Community Handbell Ensemble and serves as the group’s business manager. A native of Lexington, Kelly is a partner of Stablemate Creative, a marketing and advertising agency. 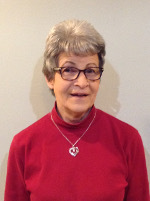 Judy wandered into her first handbell rehearsal in the fall of 1975, a year after getting her BMus degree in Public School Music from Western Michigan University. She missed nearly every note she was supposed to play at that rehearsal – but fell in love with the sound of bells. She has been playing, directing and composing for bells ever since. 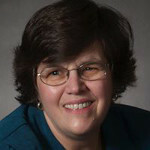 She is presently director of Bellissima!, a community bell choir sponsored by the Tuesday Musicale of Greater Pontiac. Her MCM in handbells was earned at Concordia University in Mequon, WI where she studied with Arnold Sherman, Bill Payn and John Behnke. Stephanie is a conductor and works for several organizations: as Director of Music at Lakeside Presbyterian Church in Lakeside Park, KY; Choral Director at Isaac M. Wise Temple; Singer & Assistant Conductor of the Vocal Arts Ensemble of Cincinnati; and the Conductor of the Northern Kentucky Community Chorus. Handbell ensembles are a wonderful part of her church job and she is always thinking of creative ways to combine handbells into a worship service or a concert. Stephanie is in her third year as a board member of Area 5. Rob has been a handbell musician for almost 20 years with the Carolyn Ringers of Blessed Sacrament Parish in South Charleston, West Virginia. He fell in love with the sound of handbell music during a church service and enjoys the variety of applications of handbells in both sacred and secular music. He was a founding member of the Kanawha Valley Ringers during the community choir’s existence. He currently rings with the community ensemble, Mid-Ohio Valley Ringers of Parkersburg. He is excited to be serving West Virginia in this capacity and wants to promote the beauty of handbell musicianship.